While it’s clear that the physical design of Apple’s notch has become an increasingly popular aesthetic among Android OEMs — it was made even clearer, thanks to Google itself, earlier this week. The company’s upcoming Android P software will include native support for high-end flagship devices flaunting a physical, hardware notch akin to Apple’s iPhone X.
Google recently unveiled the first glimpse and details of Android P at its annual I/O developers conference, 2018. Among the most prominent revelations was that several iPhone X-inspired UI elements, including gesture-based controls, will be coming to Android Pwhen it’s released on compatible new hardware later this fall. Moreover, Android Police notes, screenshots obtained from a potential Pixel 3 device running Android P beta specifically hint that Google might have implemented a more universal notch-friendly UI on its own, flagship Android devices, in addition to offering the UI tweak to other OEMs. Android Police goes on to speculate that this blank area in the notification bar will be where the notch is located on Google’s Pixel 3 and Pixel 3 XL. 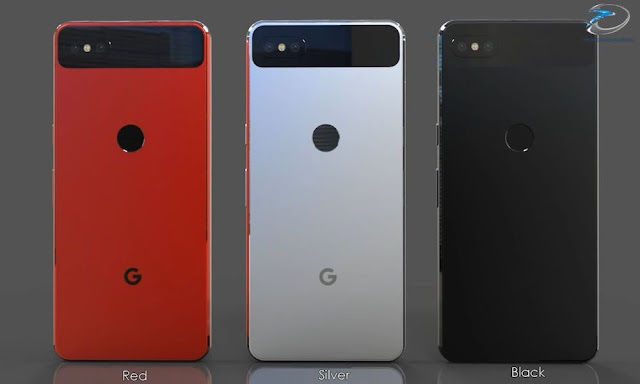 Of course, though we already know Google is working on a range of Pixel 3 devices due out sometime later on this fall, it’s not 100 percent clear, even considering today’s report, if Google’s upcoming pure Android flagships will indeed feature a notch along the lines of iPhone X and other Android-powered iPhone X wannabes like the LG G7 ThinQ and so many others. We likely won’t know more about Google’s actual design plans for the Pixel 3 and 3 XL until we draw closer to their unveiling later this year — but what’s clear from these screenshots is that Google has apparently planned for a UI design that provides ample space for a notch at the top. There’s a strong chance Google’s Pixel 3 devices could boast a big old notch on their foreheads, but it’s also worth pointing out that if Google is serious about wanting to compete with iPhone X technologically, and not just aesthetically, the company is going to have its work cut out for it — especially in the front-facing camera department, where Apple’s TrueDepth sensor will reign supreme for a long while.